I hope you’ve all had a fabulous week? Mine has been hectic, exhausting and stressful but brilliant! I’ve been dropping hints about what I’ve been up to all over social media this week and today was the big reveal…..
…….Kittenish Behaviour in real life shop form! 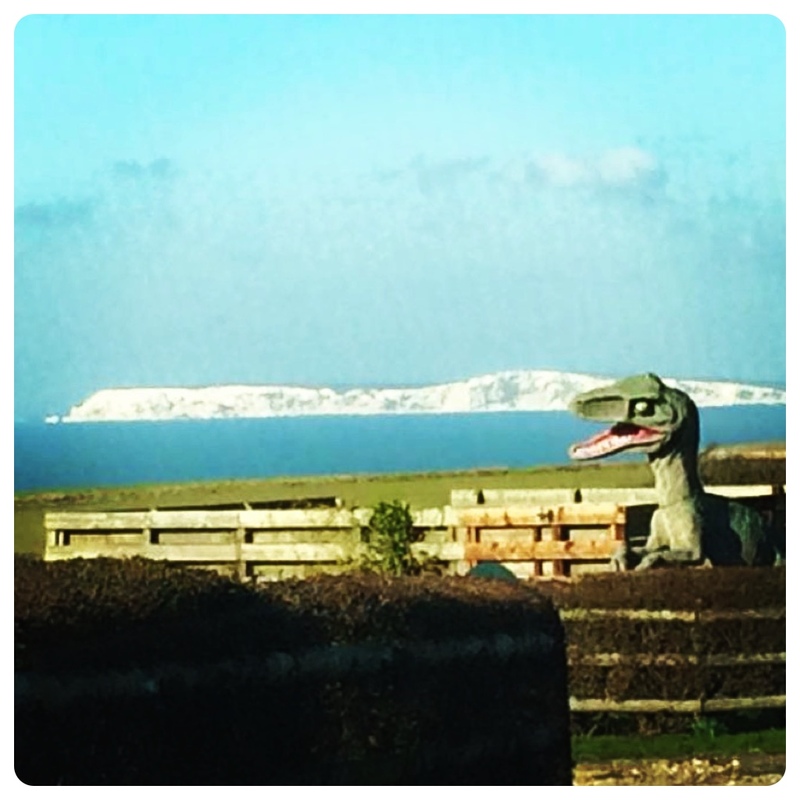 So if you find yourself on the Isle of Wight you can find me at Island Artisan, Holliers Farm, Branstone, PO36 0LT. A few weeks ago Mum and I went shopping for some salad dressing from the infamous House of Chilli and whilst we were there we had a mooch around the antique shop, the wool shop and also a new feature…..Island Artisan. Basically it’s a poly tunnel which has been given the make over to end all make overs and turned in to a gorgeous space for local artisans (love that word!). 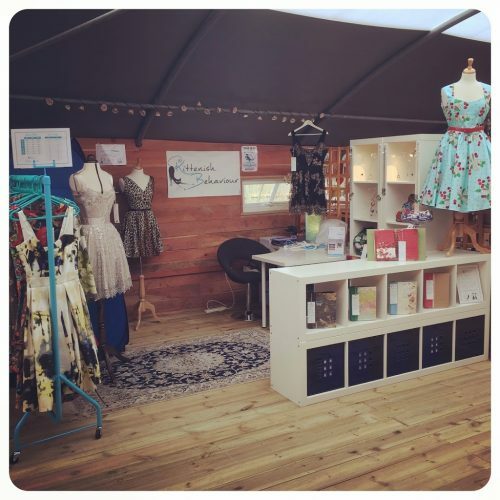 There is all sorts of gorgeousness available from amazing shortbread biscuits, fine art paintings, beautiful jewellery, handmade teddy bears and, as of today, gorgeous dresses, fabrics, purses, notebooks, photo albums, cushions and bags made by yours truly! Ever since I started the Kittenish Behaviour online shop I’ve been aiming at having a real life “bricks and mortar” location and whilst there may not actually be bricks or mortar (there is a lovely smell of wood though) opening this little space up today has made me immensely proud. It’s been a lot of fun getting the space ready. I started out with this…. …….and yes that is a camping shower tent which has been repurposed as my “Super Glamorous” changing room…. 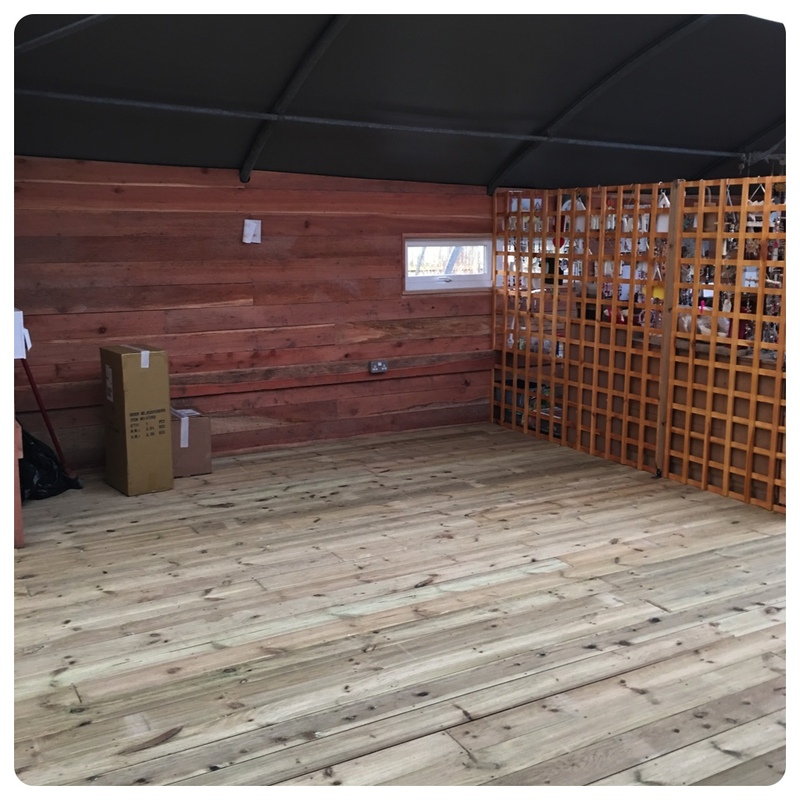 …..for now it works but we (Papa really) are going to build a proper changing room with actual walls and even somewhere to hang your own clothes whilst you try on something new and fabulous. 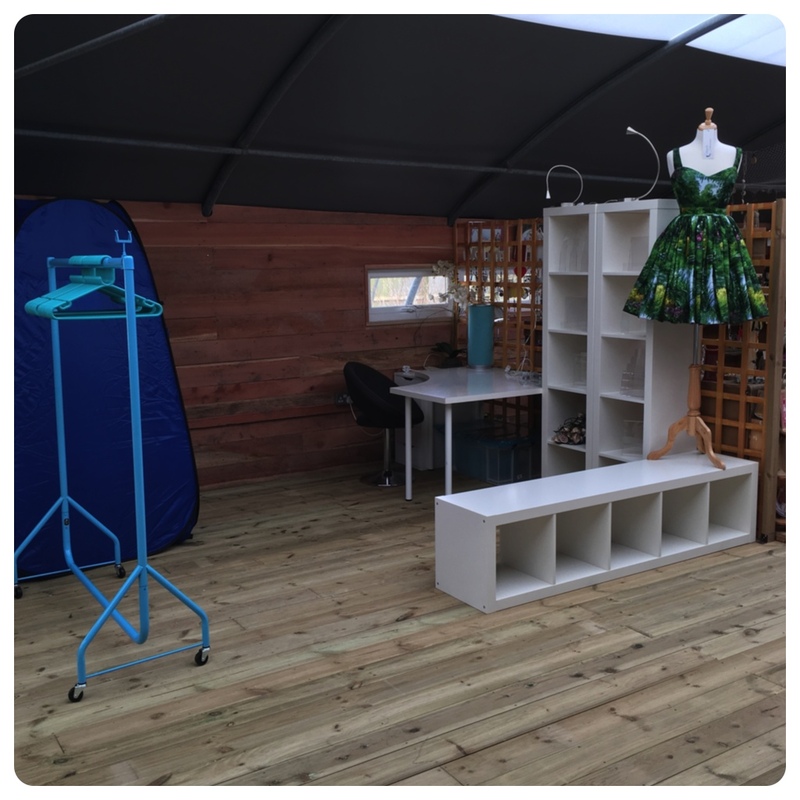 It’s so lovely to see all the different things I love to create displayed together and I’m having lots of fun changing the mannequins in to gorgeous new outfits when I arrive in every morning! …..I’ve always wanted one of these signs and on the island it’s quite possible that the “days since last incident” could change anytime now…. …..this photo was taken by Small Girl Type Creature when she visited me last year…..strange pets they have here. So….. as I said if you find yourself on the Island pop by for a visit…..even if it is only to say “Hello” and grab a sweet!